Sail Realty understands the Marina del Rey and Venice real estate market better than anyone They have great integrity and knowledge and have been in this unique market since the 1960's. Venice was wild and unpredictable then because of it's colorful residents and now it's wild because of surging tech buyers driving the market up and intrusive government agencies making it harder to buy a home and remodel it to make it your own. Sail Realty knows the area. They looks our for their clients. They take a long term view on real estate and have made me a happy homeowner and a successful investor in the Venice and Marina del Rey area! Kelly and Bill of Sail Realty commissioned me to design two custom homes in the Venice Beach area. As seasoned professionals in the custom home market, their knowledge and insight was invaluable. Their easy-going nature made it an enjoyable process. The final project was outstanding due in large part to the quality of materials, workmanship and their great attention to detail. Looking for an apartment to rent in Marina Del Rey, Venice Beach or West L.A.? A place to buy? Or, perhaps you have a property to sell? If your answer is yes to any of these questions, then look no further. You have found a great agency to help you out – Sail Realty. They are experienced, knowledgeable and will go the extra mile to meet your needs. Our first contact with Sail Realty was in 1971 when we bought a four-plex. Since then, Sail Realty has represented us in the purchase and sale of several other rental properties in the Marina Del Rey/Venice areas. Whenever we have a vacancy, Sail Realty finds great tenants for us too. They handle the contracts and get new residents settled without delay. Today, Sail Realty professionals are our consistent advisors on real estate values, trends and current conditions. 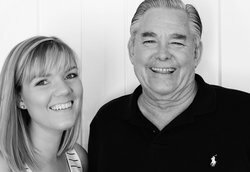 The Doyle family, owners and operators of Sail Realty, have lived and worked in the area for years. They know Marina del Rey and Venice better than any other real estate company in the area. Regardless of your needs – buying, selling, or renting – the Sail Realty professionals will help you every step of the way. My wife and I wandered into Sail Realty almost twenty years ago and since then they have been our gurus as we've bought, leased, remodeled, and managed Venice properties. They treat us like family and are always spot on with advice and expertise. Many other real estate offices have come and gone in the years that Sail has operated. We have and will always stick with Sail! We can’t thank Kacey enough for helping find us a Summer Beach Rental. The location was perfect allowing us to surf, ride bikes and walk to local restaurants. It was a summer the family will never forget and we are already planning for next summer. The work Kacey put in made the entire process simple and enjoyable - her local knowledge really paid off for us.